Most coffee that you get at a coffeehouse you can also get direct from the roaster on the internet. But what if coffee roasters sourced only through their wholesale accounts, empowering each coffeehouse to be a more exclusive source for their patron's coffee? 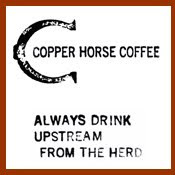 No matter your view on middle men and proprietary blends, the concept is certainly intriguing and not very common in the coffee world. Coffee provider Java Bean Plus is one of the few coffee roasters I know of that sells their coffee exclusively through their wholesale accounts. Since I've never had a drop of their coffee before, I was curious to give three of their light roast coffees a whirl. They sent out their Mexico High Grown, Guatemala Antigua & Costa Rica Tarrazu; all of which I sampled via drip, french press and siphon (except the Costa Rica via siphon, as my siphon decided to break prior to its occurrence). The Mexico High Grown drip produced notes of whiskey, honey, wheat cracker, a little fresh peanut and malt within a medium body; a deep but sweet coffee. The french press demonstrated wheat cracker, corn flakes, molasses, parsley, fig and some prune on the end with a lighter body; a deep wheat and sweet brew. 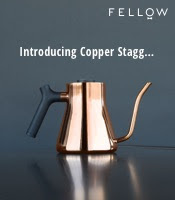 The siphon relayed a slight whiskey, honey, cracker, heavy malt and a medium body, painting a deep, smooth and slightly sugary cup. Overall, a sweet coffee with nice notes of wheat and deep fruits. The Guatemala Antigua drip smacked of life cereal, bran, a little cream, celery and a pinch of salt and plantain, all together making a smooth and sweet coffee with a bran shadow. The french press held glazed doughnut, prunes, spinach, salt and life cereal which was similar to the siphon that gave sweet wheat notes, life cereal, spinach and a bit of salt. In the end, a decent full coffee to sip with cereal. The Costa Rica Tarrazu was the darkest of the three, with a noticeable but slight presence of oil on the beans. Its drip sang of malt, heavy root beer, mint, sirloin lemon pepper and sweet cream on end; a heavy bodied infusion that held a good deal of pepper and savory qualities. The french press, proving much smoother than drip, parried with root beer, cream, lemon with less pepper and some fig. As I didn't get to try out the siphon on this one, I had to go off the drip and french press in that this coffee held more savory and peppery notes then I would have liked. While I found the Mexico and the Guatemala palatable coffees with nice flavors, I wasn't as big of a fan of the Costa Rica given it's darker qualities. Thus, if you're a coffee business looking for a decent coffee roaster who will never sell alongside you, give Java Bean Plus a go. I enjoyed reading this review, keep it going. 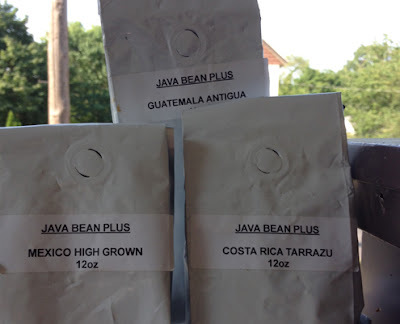 We use Java Bean Plus as part of our event trade show offering. Fresh roasted coffee is a real hit among attendees. JVP is fast with there delivery and coffee quality is as described. The pricing follows the market so for a small business that doesn't buy 130lb bags it works great for us.